How do they attach to your pet? Are all ticks equally dangerous to your pet? Ticks are found in many places including woods, fields, gardens and parks. They don’t move around much so they find the host that will provide their next blood meal by waving their forelimbs in the air while positioned at the tip of grasses and plants. This is called ‘questing’. 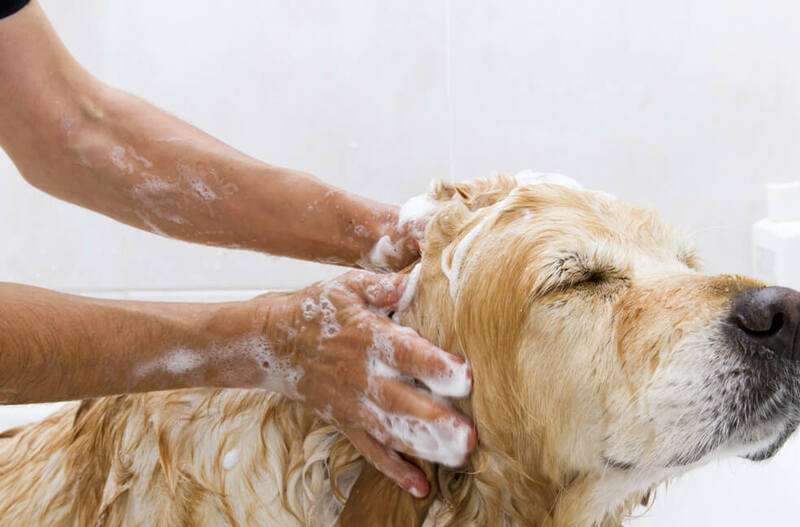 As your pet brushes past, ticks grab hold of your pet’s hair, find a nice furry location where they might not be easily seen and firmly attach themselves by biting through the skin. Between toes, under elbows and around ears are prime locations for ticks. Both pets and people rarely feel anything when they are first bitten by a tick and the tick secretes enzymes while feeding that help make sure this continues. Once a tick starts feeding it can grow up to 200 times from sesame seed size to the size of a coffee bean. Remember that when they are tiny they are hard to find and as a result it can sometimes be difficult to remove them early – so do treat with FRONTLINE® Spot On or Plus* regularly. There are several important tick species that live in the UK. Ixodes ricinus (sometimes called the sheep tick) is the most common and a potential carrier of Lyme disease. Dermacentor reticulatus is a tick that can transmit a dangerous parasite called Babesia that can cause fatal disease in dogs. Dermacentor is currently found in Essex, Wales, the South East and South West although it’s widely believed that these ticks are likely to spread to other areas of the UK†. Not every tick will transmit disease but around one in three** are carrying some kind of infectious disease that could harm your dog. Ticks can also cause irritation or abscess formation where they attach to your pet. *FRONTLINE Plus efficacy against ticks for up to 4 weeks in dogs, 2 weeks in cats. Minimum treatment interval is 4 weeks. †Oxford Tick Research group – 3/4 of 6,000 people surveyed had noticed an increase in tick numbers. **Personal communication. F. Smith, University of Bristol.